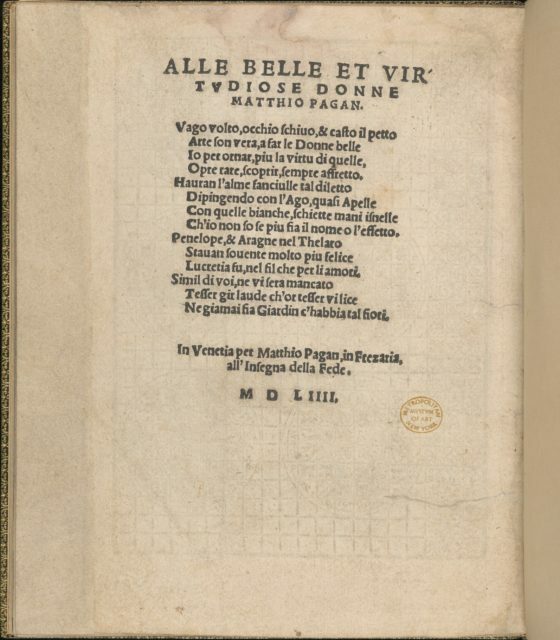 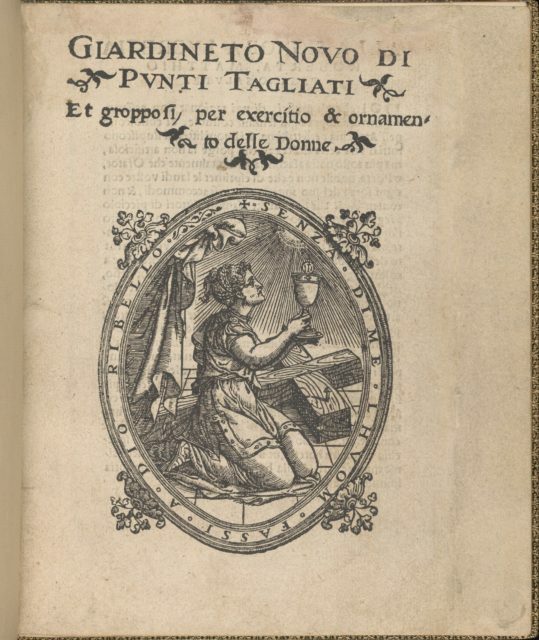 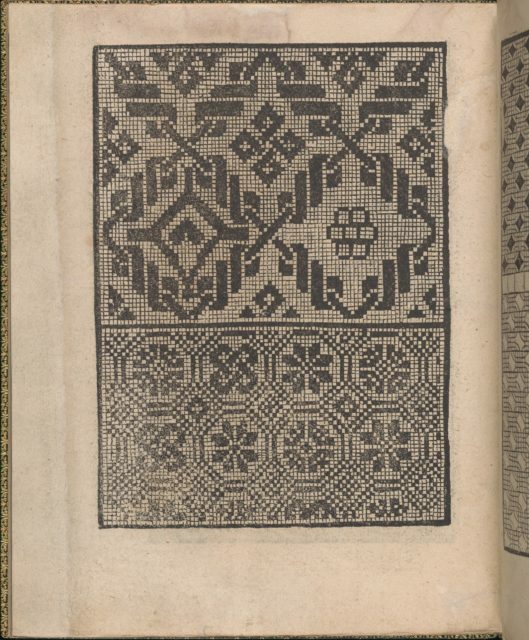 Published by Matteo Pagano, Italian, 1515-1588, Venice, bound by Lloyd, Wallis & Lloyd, British, active London after 1821. 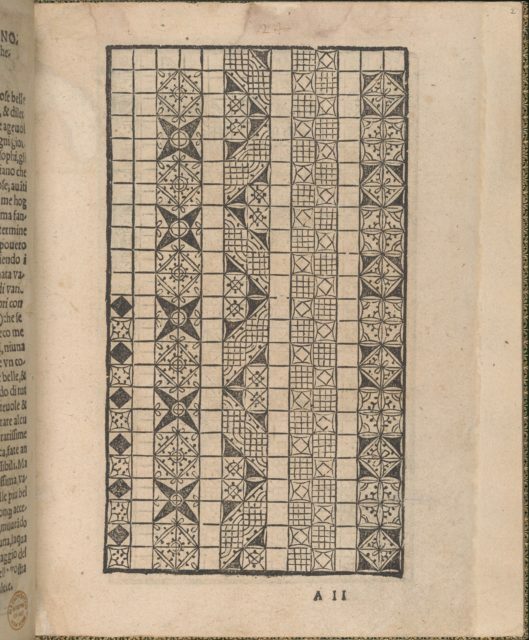 From top to bottom, and left to right:Design composed of 3 vertical columns printed upon a grid. 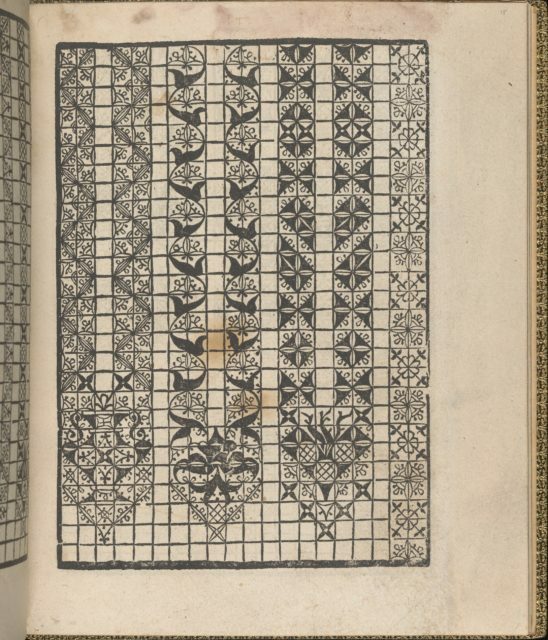 Left column is decorated with an alternating pattern of black triangles and two other linear motifs. 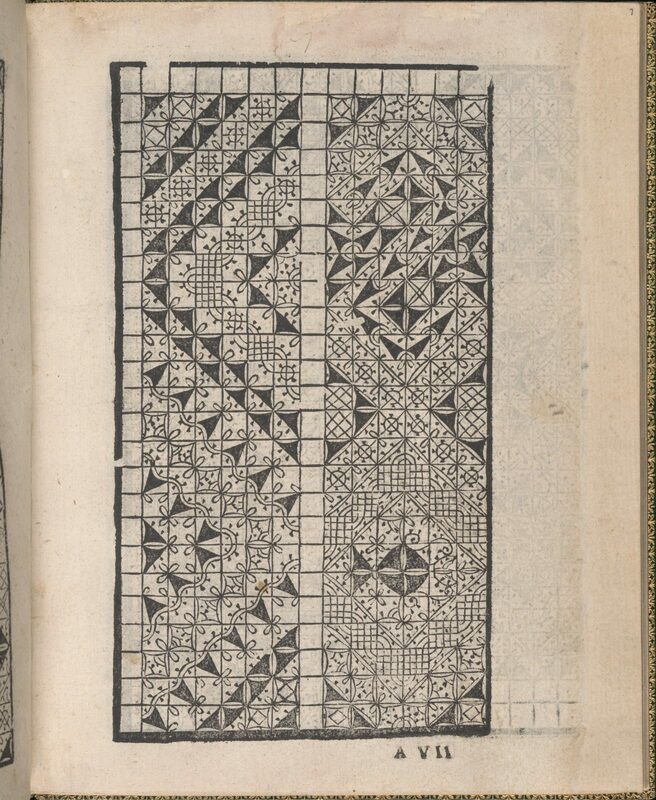 Middle column is decorated with a 'S' formed by black triangles and circular motifs with '*'s in the center, an 'X' formed by black triangles, and a heart formed by black triangles and squares with diamonds at the center. 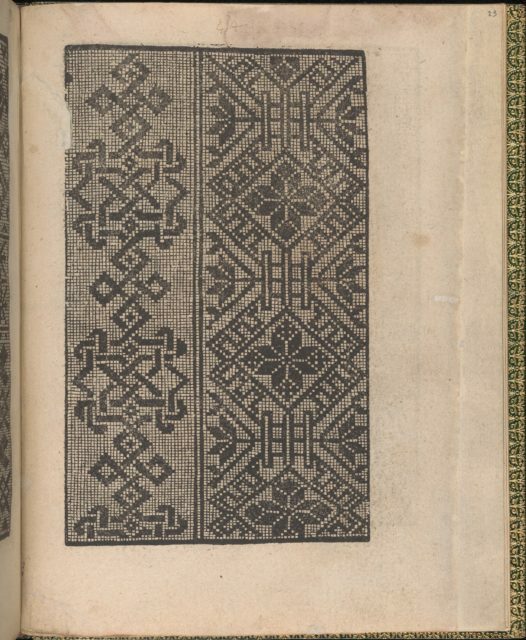 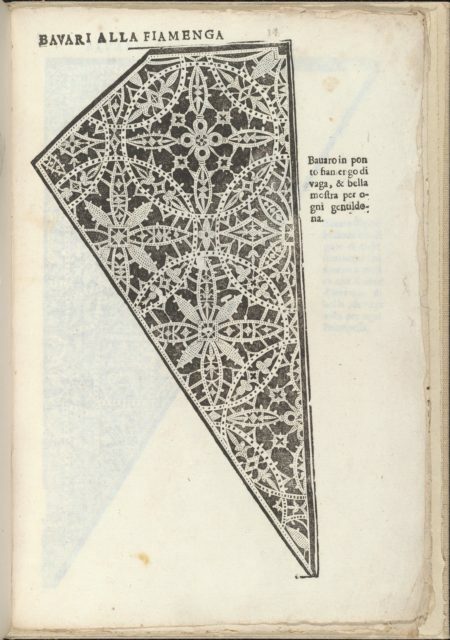 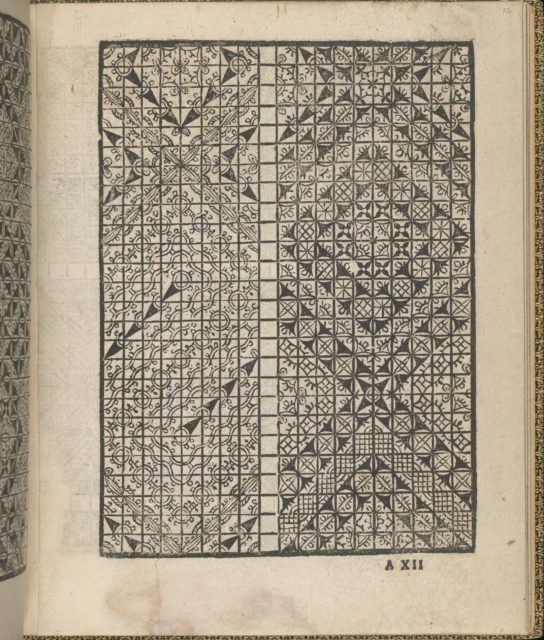 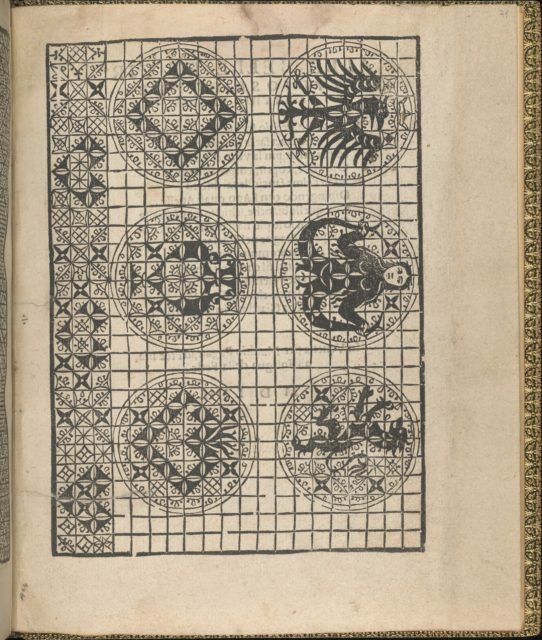 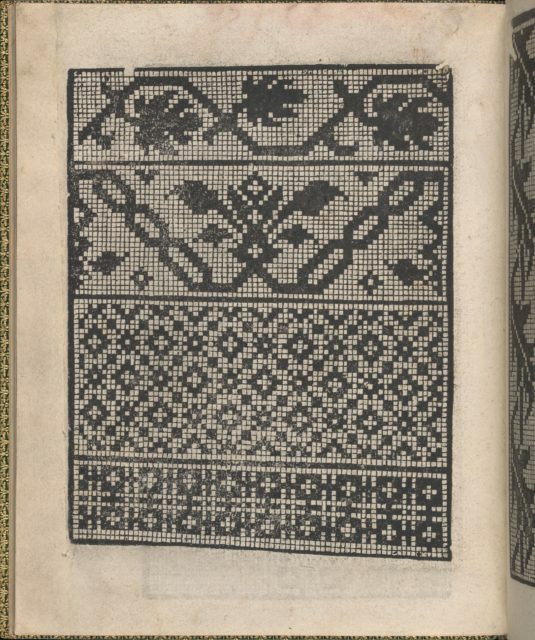 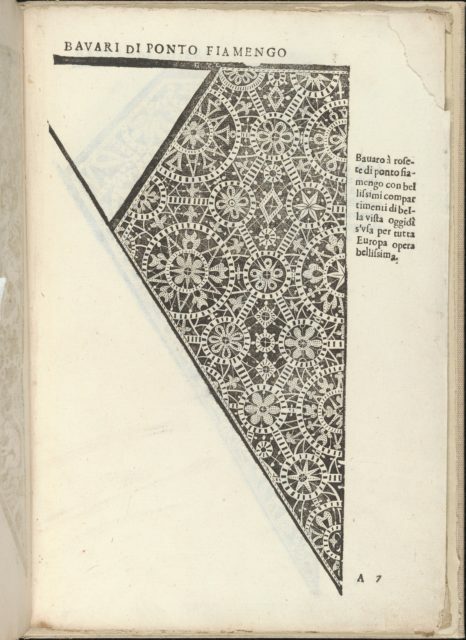 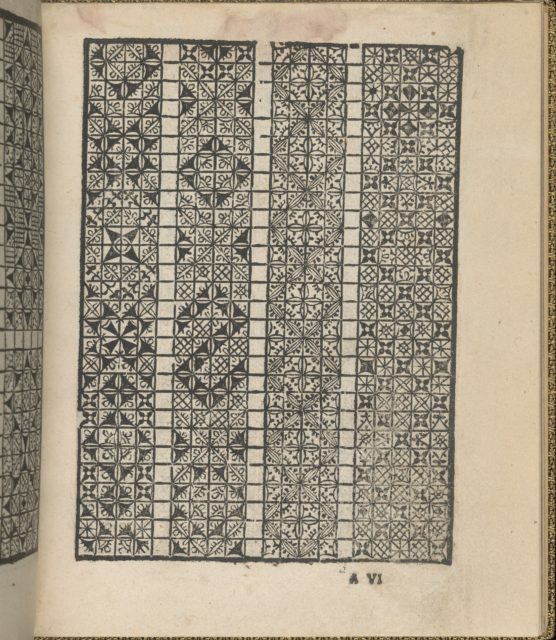 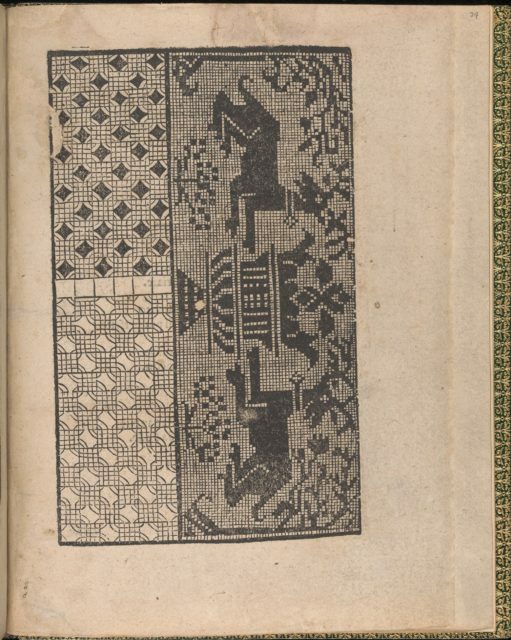 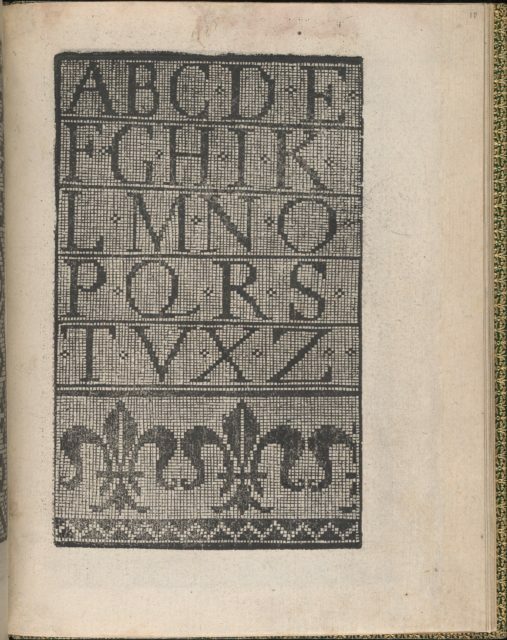 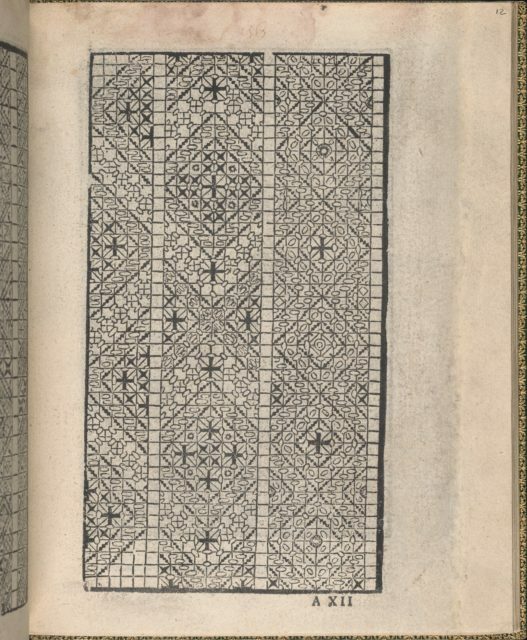 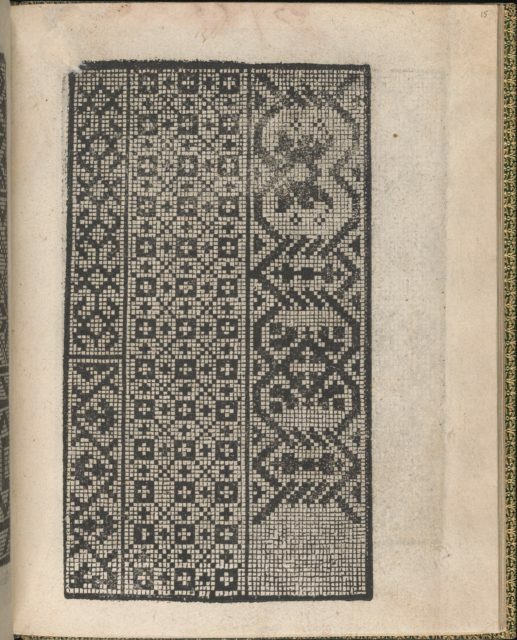 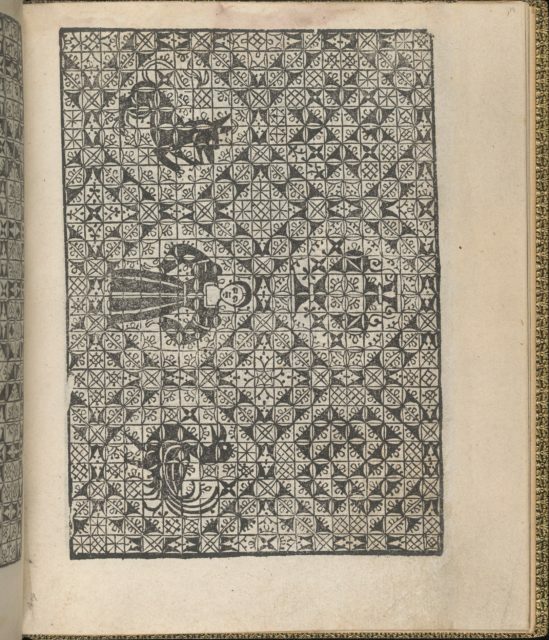 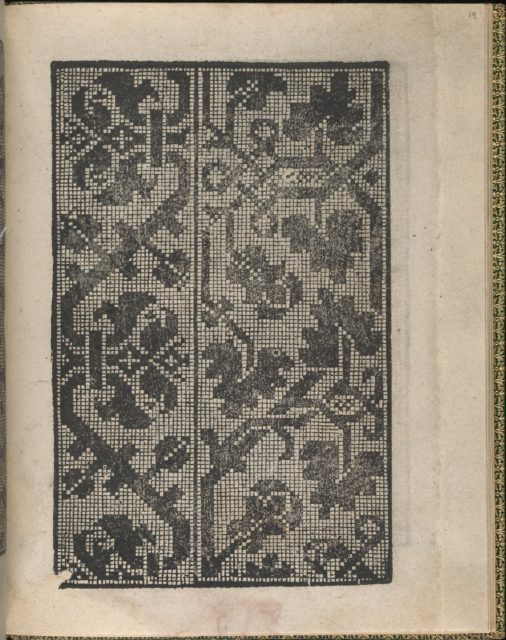 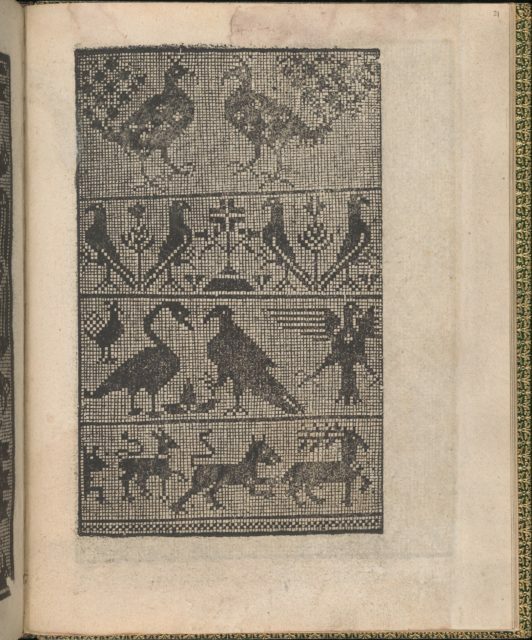 Right column is decorated with 2 sets of patterned diagonal lines: one is white and is ornamented with an interlace pattern, and other is black and is ornamented with circles with a '+' through them.